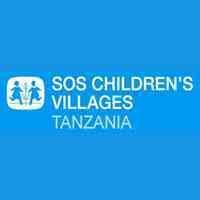 SOS Children’s Village Zanzibar is Local Non- Government Organization (NGO) affiliated to SOS Children’s Villages International, a worldwide child care organisation that provides orphaned and destitute children with a permanent home and educational opportunities. Established 64 years ago, SOS Children’s Villages International the umbrella organisation, currently has Children’s Villages and other projects in 135 countries around the world. Globally, it runs two major programmes i.e Family Based Care based at SOS Children’s Villages and Family Strengthening Programmes supporting families in local communities. SOS has been working in the United Republic of Tanzania since 1991. And implements its programs in the following locations Zanzibar, Arusha, Dar es Salaam, Mwanza, and Iringa. Take lead on the preparation on the annual budget in consultation with the Financial Controller, ensuring that sufficient financial resources are available to support the organization’s plans and activities. Manage banking accounts and balances effectively and efficiently including undertaking monthly bank account reconciliations Foreign exchange management as and cash flow management in a timely manner. Ensures all funds are properly controlled and that all administrative and financial procedures are followed. Minimum 3 years’ experience as an Accountant in a busy environment (preferably with an NGO). Experience in managing Funds of Multilateral donors. SOS Children’s Villages Tanzania is an equal opportunity employer.